Yes, there's lots of them & yes, it's detailed. But the questions below are those we are asked! Frequently! If you have any questions, please check whether they're answered below. In the unlikely event that they're not, then feel free to contact us. I CAN'T SEEM TO FIND YOUR PRICES. WHERE ARE THEY? WHAT TIME IS YOUR SCHOOL OPEN? We frequently hear “I came to your school, but it was closed!” & that’s probably because we were all out on-road training! The short answer to the question is in the morning before we go out & in the afternoon when we get back. Very roughly 09 – 10 & 3 – 4. The school is closed most Sundays & every Monday. At any time, feel free to ring & leave a clear message on our answerphone or even easier use the Contact Us page of this site & we promise we will get back to you as soon as we can. HOW FAR IN ADVANCE SHOULD I BOOK MY C.B.T? We do occasionally have cancellations so please feel free to ring if you require short-notice training but we don't have an infinite number of trainers or motorcycles! We'll do our best to help but please don't moan if we can't fit you in tomorrow! For CBT, you must bring your driving licence (photocard or "old-style" paper version). The paper counterpart became obsolete on June 08th so is no longer required. The fact that driving licences can now be checked online does not negate the requirement for you to produce it. Whilst a lengthy document, the section titled 'Pre-Course Trainee Checks' (about a third of the way down!) of the Motorcycle Approved Training Body Manual clearly states "The photocard must be shown on arrival"! For full licence courses, your driving licence, CBT certificate if already held & your theory / hazard perception test certificate. For all training: lunch, although there are numerous takeaways & shops nearby if required. Hot drinks are freely available! WHAT CLOTHING DO I NEED TO BRING? If you possess your own motorcycle clothing / helmet then feel free to use them. If not, we can provide you with a helmet, gloves, jacket & waterproofs at no extra charge. All we ask is that your footwear offers your feet some protection, which does NOT include trainers! WHAT HAPPENS IF I'M LATE? Full licence training is flexible & it’s your time you’ll be losing! We accept that traffic & other issues can cause problems, however, with C.B.T. the majority of students manage to arrive on time. Because the day is a full one, we cannot sit around waiting & if you are too late it will have started without you! You cannot then join in part-way through. The same applies if you forget to bring your driving licence! Please be at our school in Eastleigh Road promptly. Note: Because we utilise Taunton Town Football Club to conduct the off-road elements, occasionally CBT's on Saturdays during the football season commence at 08:00. Please confirm you are aware of your start time; if you have been told it's an 8 o'clock start & you arrive late you will not be able to train & you will lose your deposit! WHAT IF I HAVE TO CANCEL MY TRAINING? When you book your training we ask for a non-refundable deposit to be paid within 3 days. This ensures your place on the course & the type of motorcycle you have requested is allocated to you. "Non-refundable"? If you cancel at short notice or do not attend then you will probably lose your deposit. However, we do accept that certain situations occur that make it impossible for you to attend. If we are told that you can’t make it (before your training is due to start!) for a genuine reason, then your deposit may be transferable to training on a date in the near future. This is at the discretion of one of the Chief Instructors but please be aware that as with any pre-bookable service, we are a customer-based business & frequently have people looking for short-notice training & cancellations. If you don't show up or arrive too late we could potentially have assisted those people who could have taken your place. Equally, if when you book your training you don't pay your deposit & then subsequently fail to do so within the following 3 days we will attempt to contact you. If this contact is unsuccessful we will offer your place & requested machine to another customer. Please don't arrive on the day & moan when you're turned away! If we can assist you we will, but obviously we don't have an infinite number of trainers or motorcycles. If your training is booked & due to be conducted within the following 3 days then your deposit will be required upon booking. All major debit & credit cards are accepted! WHY DO I HAVE TO DO ALL OF IT AGAIN? I'VE DONE IT BEFORE. One day, 2 students attended T.S.M. on their own bikes to undertake their SIXTH CBT's! Riders attending for their 2nd, 3rd, 4th etc CBT ask if they really have to go through all the required elements again. Do they seriously have to be taught how a helmet is fitted? Or spend 2 hours out on the road ride when they've completed many thousands of miles since their last CBT? There may be other students attending on the same day for their 1st CBT. Regardless of how many times you've done it before, EVERY CBT we deliver is conducted professionally & completely in line with ALL the required regulations. First & foremost, those regulations WILL be complied with. No question. This includes Element 'E'; your road ride WILL be a minimum of 2 hours. Ok, forgive us for getting all "teachy" but here at T.S.M. we ensure that all of our training is delivered in a student-centred way. Compulsory Basic Training. The purpose of training? To facilitate learning & development. Once a student can demonstrate the knowledge, understanding & competance within each required element then we will be more than happy to move on to the next. If you are undertaking 2nd or subsequent CBT you will no doubt be able to swiftly demonstrate your skills & knowledge. Trust me, the last thing we want is a "demoralised learner" being forced to repetitively repeat exercises or explain what they evidently understand. Rest assured that the DVSA are currently undertaking research into how CBT can be inproved, modified etc & this includes requirements for reattending clients. They state that such riders should be encouraged to undertake their full licence, a point which cannot be dismissed but we equally understand that a 125 being used "on CBT alone" is more than sufficient for some peoples needs. WHY CAN'T 3 OF US GO OUT ON THE ROAD RIDE? WE DID AT THE OTHER SCHOOL! Element 'E' of CBT is more commonly referred to as "the road ride". There must be only be 2 trainees to 1 instructor & it must be a minimum of 2 hours. We have frequently seen other schools conducting CBT where the Instructor (very easy to identify: large bike, no 'L' plates!) is carrying a pilion passenger who is wearing the relevant training establishments tabard. Now of course, this could be another "interested party", e.g. an interpretor for one of the other trainees. But sadly, a number of customers attend T.S.M. & tell us their previous CBT completed at another school involved 3 trainees going out on the road, 1 of whom was carried pilion by the instructor & they "swapped round" on the bikes so as to save time. They ask if we could do the same. No! The regulations are clearly laid down & we will comply with each & every one of them! Absolutely! The price you pay includes everything, including your test fees. Also, your tests will be on subsequent days to those you book. In other words, if you buy a 6 day course, you get 6 full days training. Your tests will be on days after this & the use of the bike + the instructors’ time is included in the price. When researching your training options, make sure you check that if you book, for example, a 6 day course, you receive 6 full days training & then your tests, not 5 days training & your test(s) on day 6, therefore actually losing a days training you've potentially paid for! HOW MANY DAYS TRAINING SHOULD I BOOK? A frequently asked question & not one for which there is an easy answer. Many factors must be considered: what licence you’re looking to achieve, your motorcycle & road-using experience, whether you already hold a valid C.B.T. certificate etc. The only factual help we can give you is that when considering costs, bear in mind that currently the D.V.S.A motorcycle tests amount to over £90. The cost difference between each days training is £60. It doesn’t take a genius to work out that if you don’t give yourself sufficient time for financial reasons, it may cost you more in the long run! Equally, we obviously understand that people have many other commitments to take into account when considering their available spare time. It’s the same as with costs: if you allow yourself insufficient preparation time, it may take longer than originally planned to achieve your goal. Ultimately, you are the customer: you decide how long to give yourself & how much to spend. We can only offer our advice & that will always be: spend the time & money wisely in the first place, giving yourself the best chance of avoiding a second place! IS C.B.T. INCLUDED IN MY COURSE, OR DO I DO IT SEPERATELY? If you’re looking to gain your full bike licence & don’t currently hold a valid C.B.T. certificate then Day 1 of your course will be just that: C.B.T. It is, obviously, one of the days training you purchase & therefore included in the price you pay. DO I HAVE TO TAKE THE THEORY / HAZARD PERCEPTION TESTS? But for full-licence courses, yes, even if you hold a full car licence. The D.V.S.A. rule: "If you want a licence for a new category of vehicle, you will need to take a theory test." There's all the information you could ever need about theory & hazard perception tests here! DO I NEED TO STUDY BEFORE ATTENDING? For C.B.T. a working knowledge of The Highway Code is desirable. If you have little or no road experience & you've never even looked at The Highway Code you will struggle with C.B.T; here's an online version, so there's no excuse! For full-licence courses you will need to have passed your theory & hazard perception tests so will have studied the relevant material! The D.V.S.A. produces many books, all of which you will find useful, regardless of which training you’re undertaking. I HAVE A NON-UK ISSUED LICENCE. CAN I USE IT? CAN I USE MY OWN BIKE? Of course! But you will need to ensure the vehicle has a current M.O.T. (if it needs one), tax & insurance. The Motor Insurance Database is apparently updated "over 10,000 times an hour'! However, if you have very recently insured your motorcycle your insurance company may not have updated the M.I.D. & it may not appear on their database when checked. If this is the case you will be required to sign a declaration form confirming that appropriate insurance is in place. If you do not hold a current C.B.T certificate & your bike is not being delivered by a dealer, you will need to find someone licensed & insured to ride it to the school, or it can obviously travel on a trailer / in a van! All the information regarding documentation & 'L' rider requirements can be found here. CAN I FAIL MY C.B.T.? No, it’s not a test! C.B.T. is a series of training elements, each of which must be completed in order. (See here!) Generally, this takes one day to complete. However, some students require more time to successfully acquire the skills necessary; they haven’t ‘failed’, they just need to return another day. HOW LONG DOES MY C.B.T. CERTIFICATE LAST? Your C.B.T. certificate is valid for 2 years. However, for mopeds, much confusion exists, although it is fully explained on the rear of your C.B.T. certificate. Prior to 01st February 2001, when you passed your car test (licence category ‘B’) you were also automatically given a full moped licence (category ‘P'). This has not changed! The difference now is that your licence will show category ‘P’ or from January 2013 category 'AM' with code 122: “Valid on successful completion: basic Moped Training Course”. What this means is that if you complete C.B.T. & within 2 years (its normal validity) you pass your car test or you pass your car test & then complete C.B.T. you have a full moped category. No ‘L’ plates, no expiry of the C.B.T certificate, a full moped licence. So keep your certificate safe because it lasts as long as your driving licence! The fact that you MUST complete C.B.T. BEFORE you can ride a moped on the road remains, regardless of your car licence. And don’t forget the difference between mopeds & motorcycles; for the latter, unless you pass your theory & practical tests, you must complete C.B.T. every 2 years. 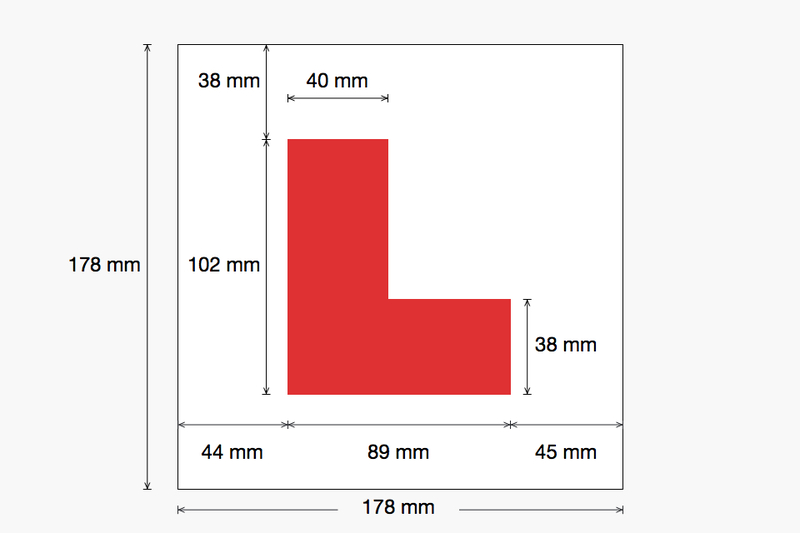 Your holding or subsequently passing your car test has no bearing on this category (‘A’, 'A1' or 'A2'). Full car test passed pre 01st February 2001 – full moped licence held - no requirement for C.B.T. Full car test passed post 01st February 2001, then C.B.T. completed – full moped licence held. C.B.T. completed & within 2 years full car test passed – full moped licence held. C.B.T. completed & no practical tests (car / moped / motorcycle) passed – provisional licence conditions apply & C.B.T. must be completed every 2 years. IF I COMPLETE C.B.T. ON AN AUTOMATIC BIKE CAN I THEN RIDE A GEARED ONE? Yes, you can. However, unless you have experience on a geared bike, we would always recommend seeking further training before you do. WHAT DOES THE NEW 2 PART TEST INVOLVE? The best way to answer that is by watching the videos on the D.V.S.A YouTube page. These videos show each aspect of the new Modular test. The acting won’t win any awards, but each manoeuvre is explained & demonstrated clearly. There is also more information here! WHAT IS THE "INDEPENDENT RIDING" ELEMENT OF THE TEST? Again, best answered by the D.V.S.A. themselves here. Basically, the examiner will ask you to follow some roadsigns (for example "When we get to the roundabout, follow the signs for Minehead"). It's designed to test your ability to do more than one thing at a time. It really is nothing to worry about & it's certainly not a navigational exercise or a test of your local knowledge! DO YOU TRAIN SPECIFICALY FOR THE MODULE 1 TEST? No, you don't need to! Training companies who offer specific ‘Module 1’ training are, in our view, missing the point. Before the modular test was introduced, we attended a Multi-Purpose Test Centre & undertook the test. Our immediate response was “If you can ride a bike, the Mod 1 is easy”. So our training revolves around just that: learning to ride a bike. We do, of course, introduce you to the exercises undertaken in Mod 1, but we don’t waste your valuable training time repetitively practicing them. And our methods must work: a Senior D.V.S.A. examiner recently said to us, following another successful Mod 1 pass: “Whatever you’re doing, keep doing it!” Plus, see the Testimonial from Emma McEachan, who discusses this very point! IS IT TRUE THAT YOU'RE TRAINING ME TO PASS A TEST, NOT TO BE A GOOD RIDER? No, that’s a common misconception! The D.V.S.A. test is only the start of your motoring future. It assesses your basic skill level in machine handling & road sense. It is from here that you begin to gain experience & improve your skills. But just remember from where you started: the D.V.S.A based training & test! Equally, here at T.S.M. we train riders far in excess of what is required to pass their test. Again, see our testimonials! WHAT'S YOUR TEST PASS RATE? 100%! Do you believe us? No? So what does it matter? Anyone can make up imaginary figures. And besides, imagine if we started collating pass-rate figures afresh in January. In the first week, two people take their test, one of them fails. You then ask the pass-rate question & we reply 50%. What would you think then? Figures are meaningless: if we weren’t successful, we wouldn’t be in our 19th year of trading & be recommended as often & as highly as we are. CAN YOU GUARANTEE I WILL PASS MY TEST? Ah, that old chestnut! Nobody, despite what they may offer, can "guarantee" you will pass the test! If you're actually asking "If I'm not successful first time, will I have to pay more?" then costs will have to be covered! Elsewhere we state: "All we ask is that you’re honest regarding your experience & realistic when deciding how long to give yourself to achieve your goal." If you are, then your chances of success are high. WHAT ARE THE LEGAL REQUIREMENTS FOR MY INSTRUCTOR? They must be authorised by the D.V.S.A. to instruct at the relevant level & must carry that authority with them when instructing. Ask to see it! All of you must also be wearing "apparel which is fluorescent or (during hours of darkness) is either fluorescent or luminous". If you need to remind them of their responsibilities point them in this direction! D'ya think we've gone slghtly 'overboard' in our pointing out this legislation? D'ya think we're joking when we say it's YOU who will be committing an offence & prosecuted, with a likely 3 penalty points & £100 fine as a minimum? D'ya think we're more than acutely aware of schools using unqualified instructors? We improve road safety in Great Britain by setting standards for driving and motorcycling, and making sure drivers, vehicle operators and MOT garages follow roadworthiness standards. We also provide a range of licensing, testing, education and enforcement services. Attended T.S.M. for post-test bike training. Obviously, we’re proud of this & the fact that D.V.S.A. staff occasionally visit T.S.M. to monitor & assess our instructors (as part of their “regulating standards of driving & riding instructors”) & have always been extremely complimentary about all aspects of the school. DO YOU OFFER 'TASTER SESSIONS'? No. Our philosophy on this is simple: if you’re interested in “just having a go, to see if you like it” C.B.T. is a ‘taster-session’! It will teach you, in a logical sequence, how to ride a motorcycle, culminating in a road-ride which will allow you to experience motorcycling for real. Plus you have the added benefit of a C.B.T. certificate already achieved should you wish to progress your motorcycling options.